Release Date: January 9, 2015 – U.S.
What if you could kill the person that ruined your life and definitely get away with it? That's one of the questions posed by "Predestination," a time travel movie that sets its own rules. Your knowledge of "Back to the Future," "Timecop," and "Looper" won't be of much help here. 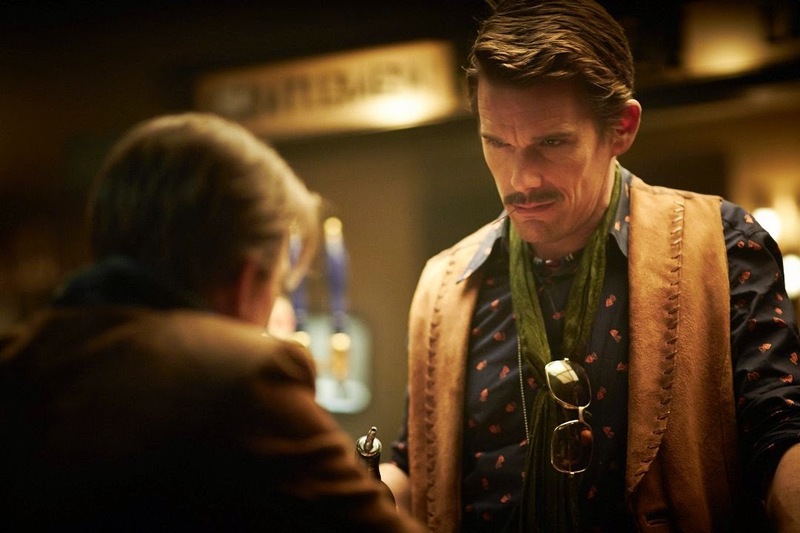 A barkeep (Ethan Hawke) is really a "temporal agent" sent back to the 1970s to prevent a terrorist known as the Fizzle Bomber from destroying ten blocks of New York. Then "Predestination" seemingly gets sidetracked in an interesting way: The man behind the bar strikes up a conversation with one of his patrons – a rugged, no-nonsense guy – who boasts that he has "the best story you've ever heard." They bet on it – a bottle of bourbon – and then the customer opens up about his life. He begins: "When I was a little girl..."
The first half of the film shows flashbacks of Jane (Sarah Snook), who was orphaned as an infant, bullied as a child, and eventually recruited by a clandestine corporation because they saw something special in her. It's not the direction I expected a movie like this to go in – what happened to the main storyline about the time traveler chasing after a mad bomber? – but I was absolutely riveted by Jane's journey. Of course, that story ends and the film gets back to time travel and other assorted odds and ends. What else can I say without spoiling anything? The events of "Predestination" are strange, but never confusing the way most strange things are. There will be time paradoxes upon time paradoxes. My advice: Just go with it! Ethan Hawke is one of my favorite actors, but I think everyone who sees this movie will end up talking about Sarah Snook. It is a star-making performance for her. English actor Noah Taylor also does fine work as the mysterious, shadowy Mr. Robertson. "Predestination" is not something I can recommend blindly and casually to just anybody, but if you're open-minded and adventurous, I wholeheartedly urge you to see it. It's one of the most fascinating films I've had the pleasure of watching in quite some time – and one of my favorites so far this year. How could something this good come out of nowhere? As it turns out, it's based on a classic short story – "All You Zombies" (which, thank God, has nothing to do with actual zombies) – written by one of the masters of the genre, Robert A. Heinlein. Even more amazing for work so original and interesting: it was first published all the way back in 1959. It was ahead of its time then and remains every bit as relevant and prescient today. The writers and directors, brothers Michael and Peter Spierig, have done a fantastic job of adapting Heinlein's story for the screen. "Predestination" is very faithful to the basic plot of "All You Zombies" – with a few details and wrinkles added to flesh out the original narrative. The Spierig Brothers also worked with Ethan Hawke on 2009's "Daybreakers," which I found to be one of the coolest and most creative vampire movies to come along in years. The Spierigs' films are few and far between – it took them six years between "The Undead" (their first feature-length motion picture, which is about zombies) and "Daybreakers," and then another five years for "Predestination" – but their projects are clearly worth the wait. 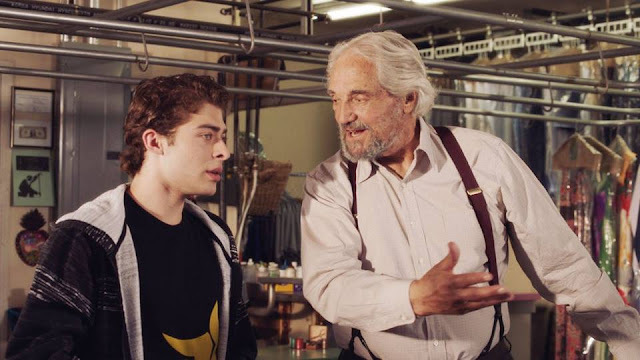 I thought nothing would excite me more than the collaborations between Ethan Hawke and writer-director Richard Linklater, but Hawke may have found a second great partnership in the Spierigs.